The Federation of Cuban Workers and Cuban trade unions declare our unconditional support and militant, internationalist, revolutionary solidarity with the energetic, resounding response of worker-President Nicolás Maduro Moros, to the debate on the situation in Venezuela convoked by a small group of countries in the Organization of American States (OAS) Permanent Commission, March 28, 2017, in defense of the country’s sovereignty, independence, and self-determination, asserting the dignity of Venezuela and all of Our America. We reject and condemn the interference of OAS Secretary General Luis Almagro, who with his destabilizing actions has encouraged a minority of Venezuelans and representatives of the right on our continent, with the support of Washington, to invoke the Inter-American Democratic Charter against Caracas with the objective of intervening in Venezuela’s domestic affairs, and eliminating the popular, social conquests achieved by the workers and people, among them the labor and salary improvements contained in the new Comprehensive Labor Law, which presents as its objective an overriding interest in guaranteeing the comprehensive protection of all workers, without exception, strengthening social services, reducing the work week, guaranteeing stable jobs, as well as the recognition of other trade union rights, such as the right to organize, to bargain collectively, and to work in a safe and healthy environment. Cuban workers call on popular, social organizations of Our America and the world to express their solidarity with the government and the entire people of Venezuela, who have taken to the streets to support the glorious Bolivarian, Chavista Revolution. No to imperialist intervention against our peoples! Unity, solidarity, struggle, and victory! Verdens mest bærekraftige land: Hva? Cuba? 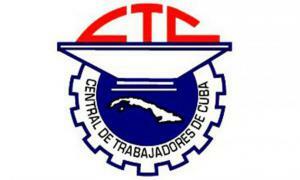 THE NEWSPAPER OF CUBAN YOUTH Info. Portal de la Televisión Cubana Info.